A relaxing brainwave entrainment session, using a combination of Alpha and Beta tones, to help relieve the feelings associated with anxiety. 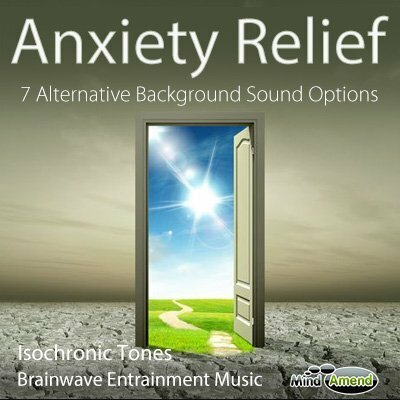 This is a calming anxiety relief session using isochronic tones, designed to quickly ease feelings of anxiety and stress. The track starts by relaxing your mind and gently guiding your brainwave activity down to 8.5Hz in the Alpha range, which it reaches by the 8 minute mark. In addition to the isochronic tones, I've also embedded entrainment effects into the music soundtracks. This method involves creating small distortions in the soundtrack, which vibrate in unison with the same brainwave entrainment session the isochronic tones are following. This extra effect helps to add more power to the entrainment experience. How the Anxiety Relief isochronic tones session is designed – click to enlarge.